The purpose of this article is to examine the role of designer brands in the overall bridal jewelry market, to understand how they operate, and to compare and contrast their offerings with “generic” or non-branded jewelry. The intent is to help consumers understand the designer value proposition in order to make well informed buying decisions. In the course of talking about designer jewelry in general we will look at several individual designers and explore a bit of their history and their distinguishing characteristics. (*For purposes of this article we will not cover the exclusive brands such as Tiffany, Cartier, and Van Cleef & Arpels that sell their product through their own stores. Much has already been written about these companies.) Instead the focus will be on the leading national brands that are represented in the finer stores and that enjoy wide brand recognition. A designer brand can be thought of as a trademark protected line of styles that share the designer’s artistic approach to jewelry design. Distinctive design elements or treatments tend to give the line a particular look and feel. Most designers have exclusive territorial agreements with their retail partners. Depending on many demographic factors the geographical territories can be fairly large in more rural areas, or they might be quite small in the case of high density urban areas. Typically there will not be more than one authorized reseller in a given geographical area but with the rise of e-commerce these lines are not quite as distinct today. Until relatively recently, the top designers have heavily favored traditional brick and mortar jewelers for the presentation and customer experience that they are able to bring to the brand. But the rapid growth of e-commerce has created a convergence where companies working primarily in the internet channel are setting up stores and traditional brick and mortar companies are going online. Most designers have all of their operations under one roof including production, logistics, and administration. This promotes efficiency and quality control. Service after the sale (repairs, sizing) is usually conducted at the factory, requiring the piece to be shipped to the designer. This is done to ensure the integrity of the product after servicing and to protect the brand. In some cases the retailer is authorized by the designer to do certain types of work in order to avoid delays and shipping costs. An advantage of choosing a designer brand is the assurance that no matter where you go, you will be able to get service from jewelers qualified to restore the piece to original condition. This is especially important with jewelry that has intricate design elements or diamond setting techniques such as micro pavé that require a high level of expertise. Most designers provide warranties that will cover many different contingencies including repairs and resizing. These policies differ among the different designers, but in general they tend to be liberal in applying their policies in order to maintain their brand reputation and to assist their retail partners in maintaining high levels of customer satisfaction. Many require a product registration in order to be eligible for benefits, and most have limitations and exclusions. If you want something very unique there is sometimes a choice between a designer piece and having something made from scratch. The first thing to consider is warranties and other benefits that might be available on the designer item. In addition, the ability to know exactly what the designer piece will look like takes some of the uncertainty out of the custom process. It should also be pointed out that many of the designers will do customization of their designs and even complete custom build. This is something to explore if you want something very special but do not want to give up the benefits of the designer brand. For more on this, please see our article comparing and contrasting designer brands with custom jewelry design. Generally speaking if you are lucky and your exact item is in the jeweler’s stock you can expect delivery within a week or two. That means correct metal, center stone and finger size. Special orders will typically range anywhere from a couple of weeks to 6 weeks or more. 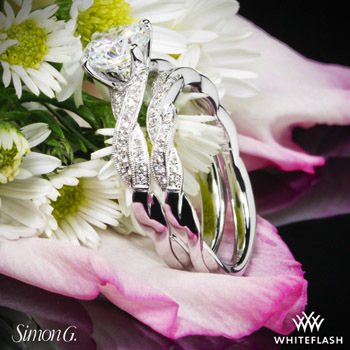 Simon G. features perhaps the broadest collection of fine jewelry of any of the leading brands. Superb styling and impeccable craftsmanship are the hallmarks of this designer throughout both their bridal and fashion lines. 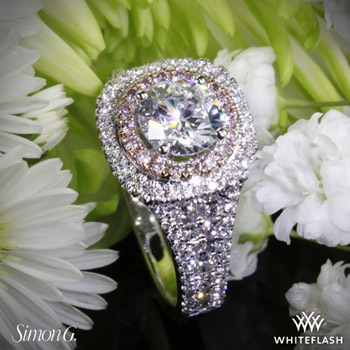 While engagement rings and wedding bands are the focus, Simon G. has a multitude of exciting options to suit a wide range of occasions and tastes. The namesake and inspiration behind Simon G. is Simon Ghanimian, a master jeweler who emigrated from Beirut to Los Angeles with his wife Silvia some thirty years ago. Beginning from scratch with nothing but talent, a strong work ethic and an optimistic and fun-loving attitude, Simon has become one of the most respected and admired designers in the country. The extensive line includes tailored and classic styles, but always features leading edge artistic design as well. Presently Simon G. is putting special emphasis on rose gold, with many exciting new designs in this distinctive metal which is enjoying resurgence in popularity today. 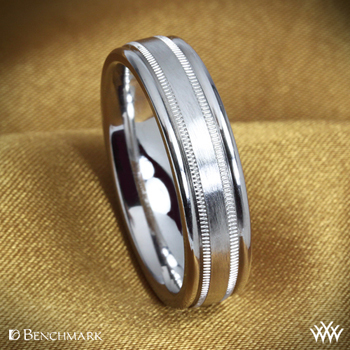 Their white gold alloy is made with palladium making the jewelry hypo-allergenic. Each piece is inscribed with a unique identification number like a signed print. 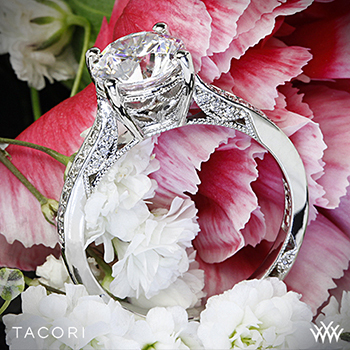 Perhaps the best known of the modern designers is Tacori. This brand reflects the passion and artistry of Haig Tacorian, the patriarch of the Tacorian family. When he and his wife Gilda emigrated from Europe in 1969, Haig Tacorian brought with him a skill set and a unique vision that paved the way for phenomenal success in the competitive world of fine jewelry design. Today, Haig is still very much involved in the business, but the next generation of Tacorians has taken the company to new heights. The family continues to move the brand into the future with the same passion for beauty and quality that has been at the heart of Tacori for four decades. All Tacori bridal jewelry is made in America and handcrafted by highly skilled jewelers in the Tacori manufacturing facility in California. The intricately crafted artisan jewelry made there truly reflects the family legacy. Tacori’s signature style is defined by a distinctive crescent silhouette: interlocking half-moon arcs that provide windows of light to reflect the brilliance of the diamonds placed within each crescent semi-circle. 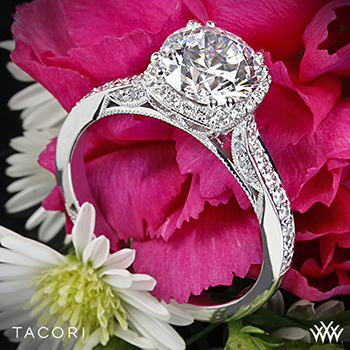 The unique look and feel of Tacori design is as unmistakable as it is beautiful. •	Promise of Service. This guarantee is not necessarily a free benefit but is a promise to service or replace the item for life (conditions apply). •	Lifetime Upgrade: Up to 65% of the original purchase price may be applied on trade up to another piece of equal or greater value. (conditions apply). * For purchase made before Jan 4, 2013 you may receive credit up to 75%. •	Tacori Sport Band. A benefit unique to Tacori is a complimentary gents wedding band crafted in stainless steel with classic Tacori styling with the purchase of every gentleman’s band. 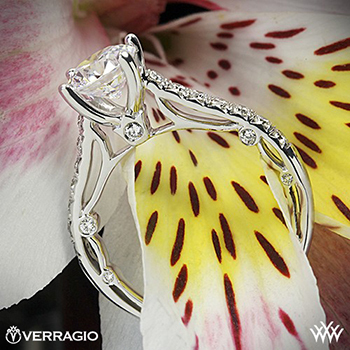 For over twenty years Barry Verragio has been the inspiration and creative force behind this innovative company which specializes exclusively in engagement and wedding rings. Barry’s international heritage enables him to bring together design elements from many classic sources. The European influence is prominent with curves and decorative elements inspired by Italian and French art and architecture. 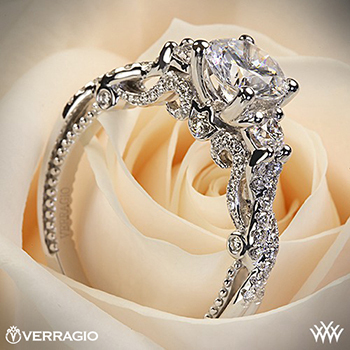 But it is the emphasis on essential aspects of engagement ring design that help distinguish Verragio from other manufacturers of designer engagement rings. •	Certificate of Authenticity guarantying the product is free of defects in materials or workmanship. •	*The Verragio Parisian collection is built with 14K gold and H Si diamonds offering top designer styling in more affordable price points. 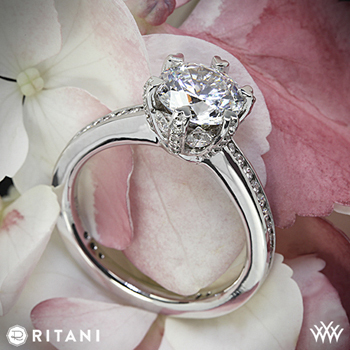 Ritani is a thoroughly modern jewelry design house that first opened in 1999. They have become known throughout the bridal design world as a company very much in tune with the styles and sensibilities of the contemporary woman. Ritani engagement rings and wedding bands represent a perfect blend of modern computer aided design (CAD) and old world craftsmanship. While many designs throughout their collections feature intricate detail, the emphasis remains on classic style and wearability. 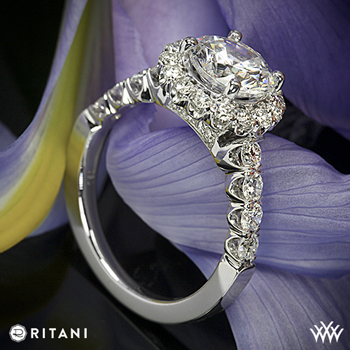 The elegant design of Ritani diamond rings allows them to be worn comfortably everyday and on every occasion. The patented Ritani setting features small diamonds set ingeniously in the prongs themselves, accentuating the center diamond in a completely unique way. Certificate of Authenticity with warranty that the product is free of manufacturing defects. Undoubtedly one of the most interesting individuals in the jewelry design world is Vatche Aghajayan. Early in his childhood he watched a jewelry maker working with fire and gold and he was completely captivated. By the time he was 18 years of age, Vatche had learned every aspect of creating fine jewelry. Before beginning the award winning jewelry design company that bears his name, Vatche served in the US Air force as a fighter pilot, and through the years has served in a training capacity. In his spare time he enjoys flying his own private military jet! 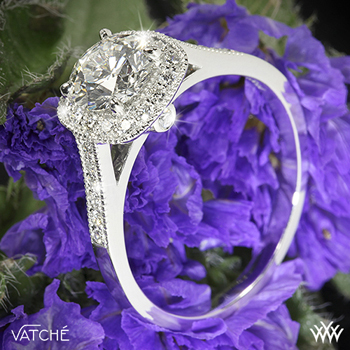 The same passion he has for flying, with its unforgiving need for precision, also drives Vatche to create bridal jewelry that is truly world-class. He creates and implements every design himself to assure its perfection before turning it over to his small group of talented bench jewelers to execute. 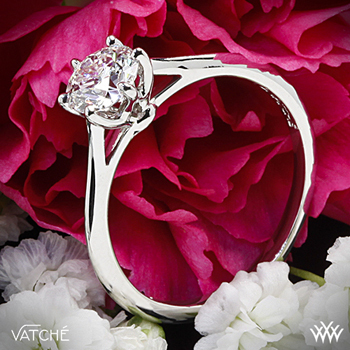 Vatche designs represent a distinctive blend of elegance and real world practicality. Many of the styles in the line are sleek and streamlined, perhaps a reflection of his love of aeronautical design. With an affinity for understated and wearable design, Vatche rings have strong appeal to unassuming women with grace and style. It therefore comes as no surprise that twice in the past three years Vatche has won First Place in the Platinum Guild International Retailers Choice design competitions. When Jack Hovsepian elected to forego attending MIT to become involved in the jewelry business, Jack found his calling and a new designer brand was born. With a mind for engineering and design, and an appreciation of fashion cultivated early in life through the influence of his father, Jack has merged his many talents into Danhov, a brand that is making its mark in the bridal world. 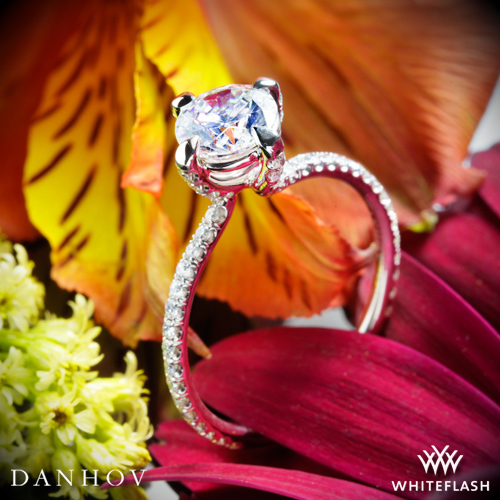 As a first generation jewelry design house, Danhov brings fresh ideas and a fresh approach to the bridal category. All Danhov rings are either handmade or hand-assembled in their state of the art manufacturing facility in Hollywood, California. With all phases of production under one roof and a team of the most skilled and experienced craftsman working with the finest tools and materials, Danhov is able to manage 2-3 week turnaround on high quality, made to order items. The Danhov line has something for everyone and a full range of price points – without taking shortcuts. Every piece is made with VS1 diamonds of F/G color. Rings are made from pulled wire (as opposed to casting) in order to eliminate any weaknesses due to porosity. Diamonds are ethically sourced and the manufacturing process is eco-friendly. It is no surprise that Danhov is one of the new, up-and-coming designers. 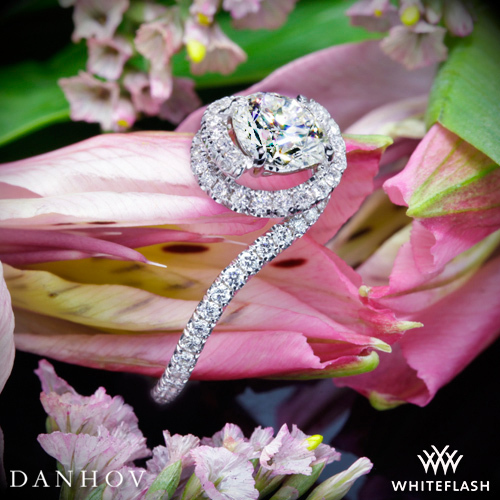 Recognition and awards such as a first place win in the 2015 Platinum Innovation Awards competition continue to put Danhov on the map as they grow into one of the important bridal brands in America. Using state-of-the-art techniques, ultra-modern manufacturing equipment, and multi-level quality control Benchmark rings can be counted on for consistently high quality. All rings are die struck from extruded tubing which avoids defects such as porosity that can be introduced in the casting process. This ensures structural integrity and allows for clean re-sizing. Diamond styles are set with precision cut diamonds which are machine set, resulting in a bigger, brighter show of diamonds than conventional hand setting. 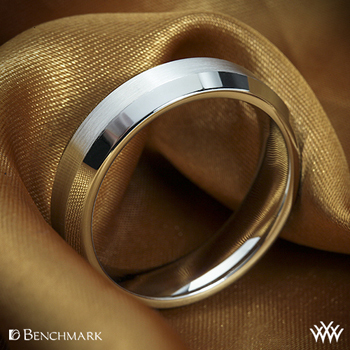 In all, six separate quality control points must be passed before any Benchmark ring leaves the factory. With total confidence in the quality of their products, Benchmark provides outstanding customer assurance in the form of the Benchmark Lifetime Guarantee. •	Complimentary sizing and refinishing through the unique Lifetime Guarantee. (shipping and insurance charges not included, and is limited to in-store purchases only). •	Certificate of Authenticity and warranty that the product is free of defects in materials and workmanship. There are other fine designers such as Jeff Cooper and Scott Kay that have achieved a prominent presence in the bridal arena. And in addition to the more well known brands, there are a number of popular jewelry designers who work on a very personal basis with their clients operating more of a custom design business model.